The time has come for us to add our newest member of the family. Well it’s almost time anyway. I’ve been in contact with the German Shepard Breeder I told y’all about after we lost our beloved Mia. Three weeks after we lost her, we chose to send our other beloved family member Alex to hang with Mia in heaven. It was a tough choice to make, but he just ran out of time. His back legs could no longer support him and I was ready to let him go. Kaiser is 5 weeks old today. 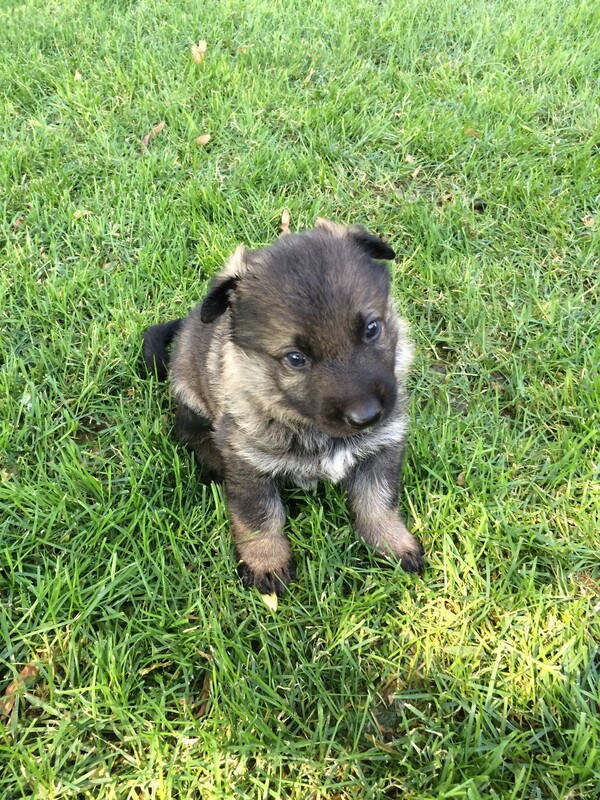 He is a super cute German Shepard puppy just about ready to come home. Jordan has been wanting a German Shepard for about 2 years now and finding one that was in our price range took some time. However, last April, Jeffrey and I were visiting my good friend Tina, her husband Shaw and their new addition, Bently. He was adorable and huge at 4 months old. But what a lover! Jeffrey and I were totally excited to talk with the breeder our friends used. We found out they planned to have a new litter ready in late July. So, I’ve been calling them about once a month to make sure they know our name and that we are serious. So the count down begins, 2 weeks to go. Jordan is getting completely prepared. He works at Petco, so he has his groomer ready, the trainer is waiting and the Petco shopping bags keep coming in the door with Kaisers toys and necessities. It’s really good to see our son excited about his new pet. He took loosing Mia pretty hard, but with time comes acceptance. With Kaiser comes Hope and Joy. Any new pets for you this Spring and Summer? If so, what did you get? I’ll bet Kaiser no longer looks this tiny!